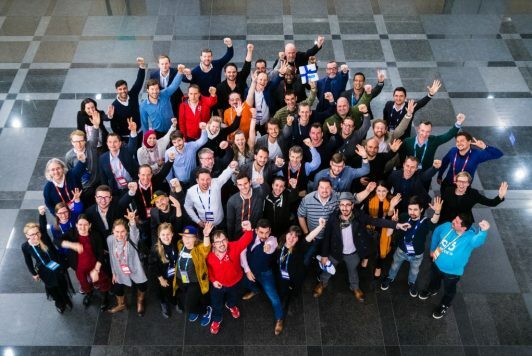 For the last 8 years, Startup Sauna was one of the most beloved accelerators in Europe. 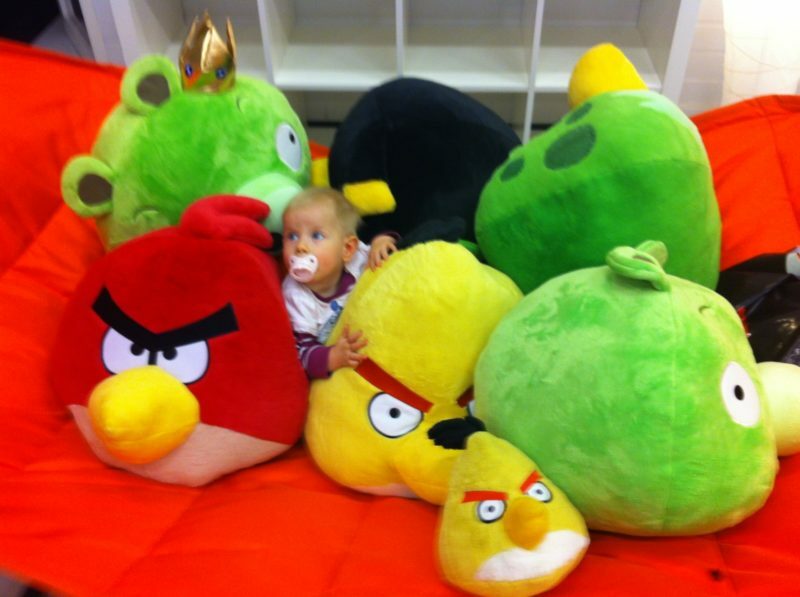 It has an even more special place in the heart of Latvians, because, while the ecosystem here was still in the nappies, Startup Sauna was the place where many – if not most – of the startups from Riga got their first headstart, advice, mentorship and valuable experience with the startup world. As our startups grew, the Sauna with their different approach and a zero equity model was still the top choice. This Monday, they announced, with great sadness, that it’s time to hang up the towels and close the accelerator. As a tribute, here’s what some of the alumni and friends had to say about their experience. “In the summer of 2010 I organised Open Coffee Club Riga and got a message from a couple of Finnish guys who were exploring the Baltic startup scene and wanted to work on startups,” remembers Ernests Stals, Founder at Dripit.io, and the co-founder of TechHub Riga and TechChill. It was the first time I actually met with people who have executed online business on a global scale, succeeded, failed, learned and now shared their experience. “The Aalto Venture garage bootcamp changed my perspective and became a big part of what today is known as TechHub Riga”. 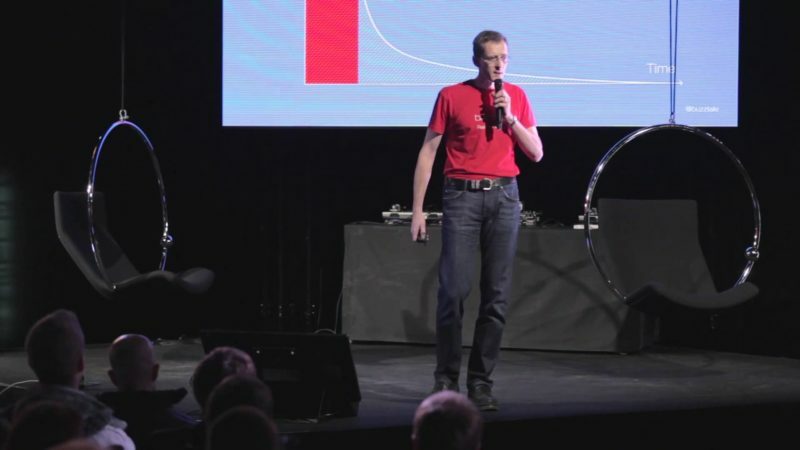 Ernests joined Startup Sauna as part of the second batch in the fall of 2010, one of the first two companies to join the accelerator from beyond Finland. This was also the moment when the Latvian startup scene was just beginning to appear, and the opportunity to learn from the Finns helped. As Ernests came back to Riga to build his startup, the need to build a wider community of like-minded people was also strong on his mind. In 2011, he and a lot of others, including Andris K. Berzins, co-founded TechHub Riga – the very first branch of TechHub London, and also the very first non-profit organisation dedicated to creating opportunities for startups in Latvia. 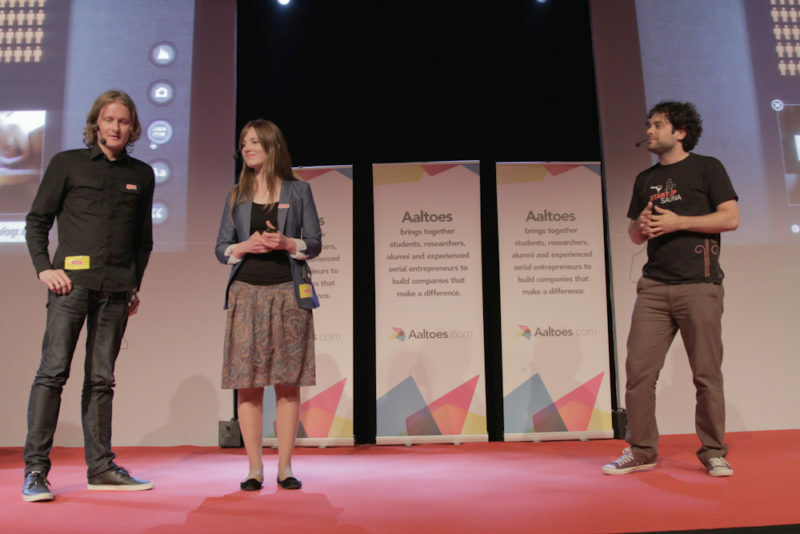 “Startup Sauna showed the rest of the Nordic & Baltic region that it is possible to build on the back of a student volunteer organization. Then they harnessed the growing power of startups in the region and brought great mentors and advisors to bear on a large number of teams. 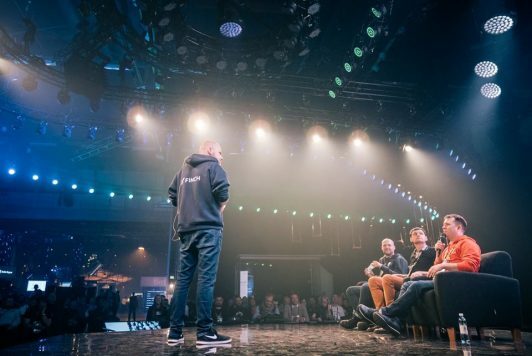 The effects on startups will be long-lived and the end of the Startup Sauna program is the end of an era,” says Andris K. Berzins, the co-founder of TechHub Riga, TechChill and currently the partner at Change Ventures, a VC fund that invests in Baltic startups. In the early 2012, TechHub became not just an organisation, but also a co-working space bringing together all the local startups in one place. The brand new venue was opened with a big launch party on February 9, ever since known as the official TechHub Riga birthday. With the help of Mike Butcher, the opening was celebrated by the first big startup conference in Riga – then called TechCrunch Baltics. A promising new startup called Infogr.am won the first startup competition during the event, and a short while later went on to take part in the Startup Sauna Spring 2012 batch. “Oh, Sauna! Uldis, Raimonds and I spent a few intense months as part of Startup Sauna 2012 spring batch. 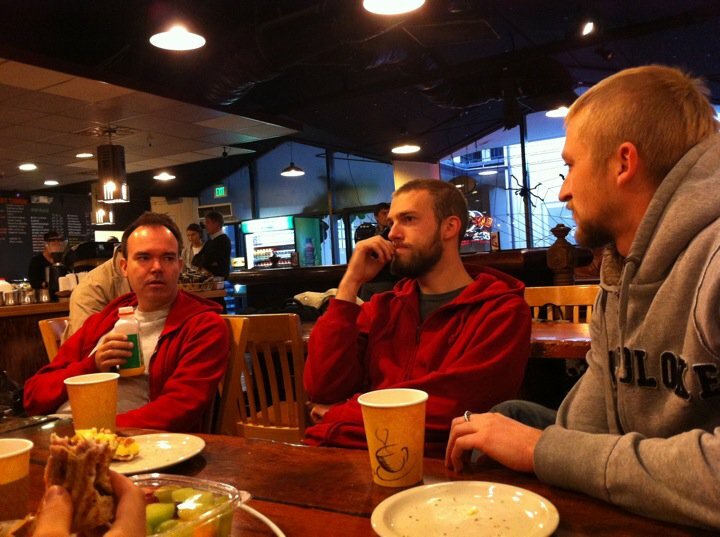 That was the time and place where three acquaintances with an idea turned into an early stage company, where our culture got formed and the b*****it kicked out. 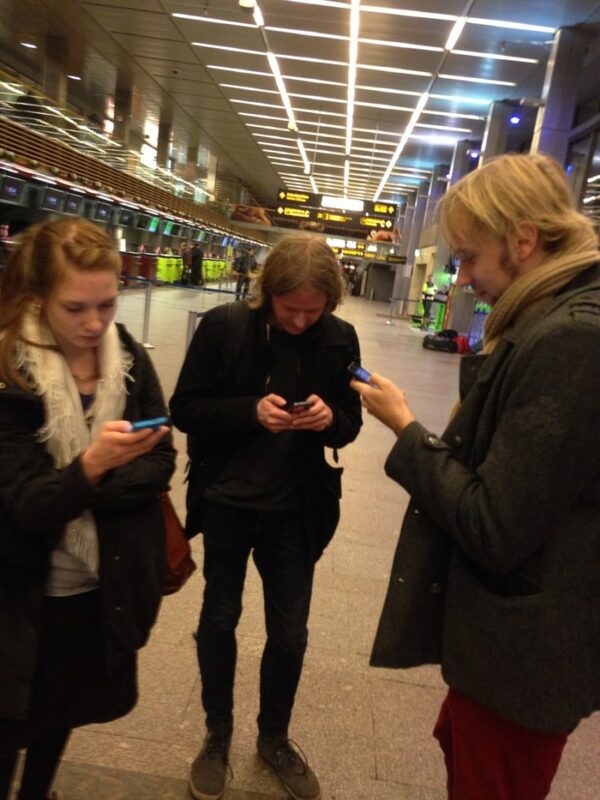 The biggest gain from Startup Sauna, as we later realized, was team building. 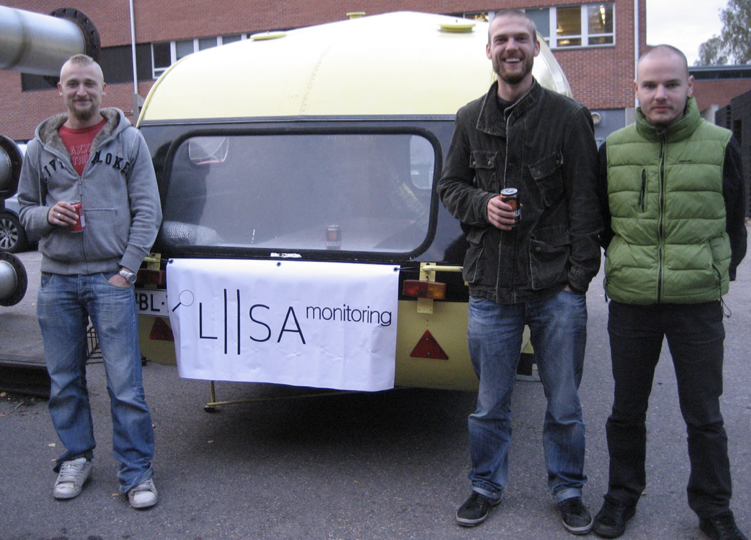 When we joined the Accelerator, Uldis was the main driving force. 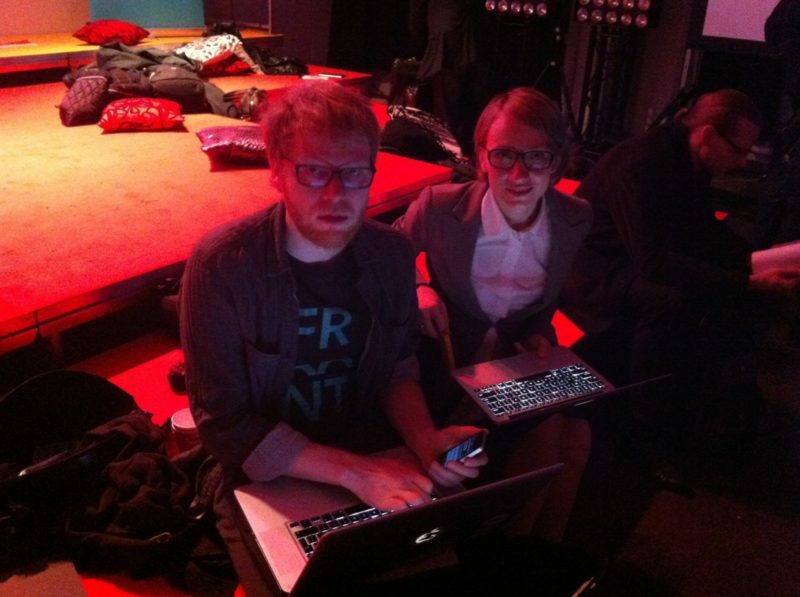 Raimonds and I thought that we will just do coding or designing. But that was soon kicked out of us as all co-founders had to take an active part in building the company, business and product,” remembers Alise Dirika (née Semjonova) from Spring 2012 batch. She says: “We actually met Prezi’s, company that we now have joined forces with, co-founder Peter Arvai, while having Startup Sauna SanFrancisco trip. 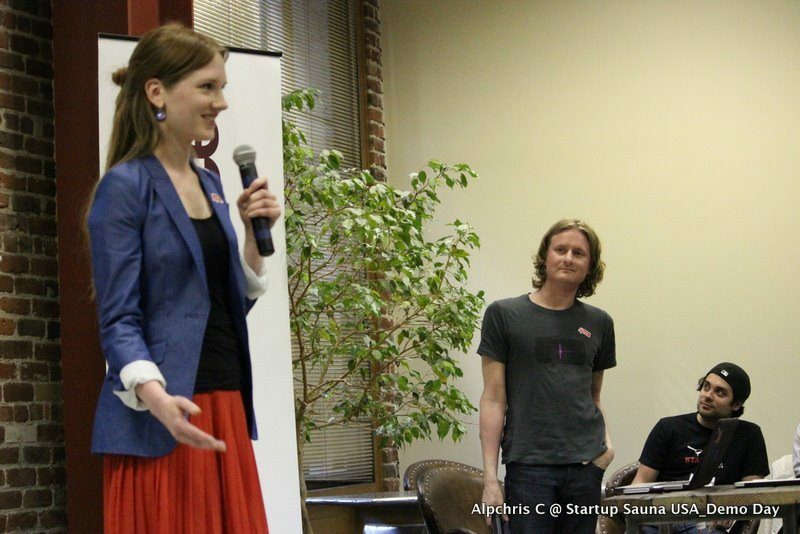 As for me, Startup Sauna confronted my biggest fear – public speaking. 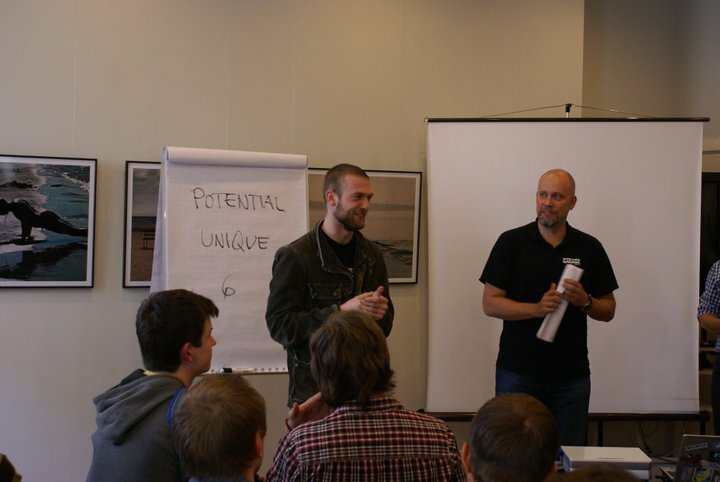 I must admit, in my opinion, I and Raimonds were the most challenging presenters in the history of StartupSauna. Kudos Mike Bradshaw for the patience, working with us after-hours, and on weekends and helping me to overcome my biggest fear. Greeting to all friends, captains and coaches!” Infogr.am was bought by Prezi in 2017 and is used all over the world, is now known as one of the most successful startups to come from Riga. TechCrunch Baltics happened only once, however, TechHub Riga founders decided that an annual startup event that would help attract foreign investors and bring outside experience to Latvia. The event was held again next year, just under a different name – and that’s the story of how TechChill was born. Of course, there wouldn’t be a TechChill without Startup Sauna, either, since it wasn’t just Latvians who went to Helsinki – Finns returned the favor and started a long-lasting, much-celebrated tradition of bringing an actual real-life sauna, by car, all the way from Helsinki to Riga each year for the TechChill afterparty. “Sauna by the entrance of TechChill afterparty has been a tradition of ours for over seven years now, and for those startup founders who didn’t get the memo, it truly was the best place where to pitch to heat-loving investors with only one exit strategy – non-existing. Around these Finns we’ve always felt like home, no matter where in the world we meet or the amount of clothing they’re wearing. Thanks for the friendship, we’ll never forget the glory days!” says Marija Rucevska, Member of the Board at TechChill Foundation. Meanwhile, more and more startups gained experience in Startup Sauna. 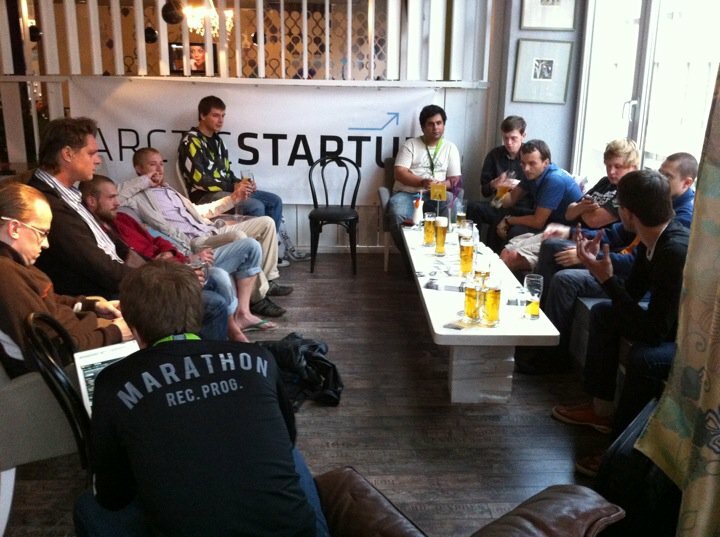 Over the 7 years, around 16 companies from Riga went through Startup Sauna accelerator. 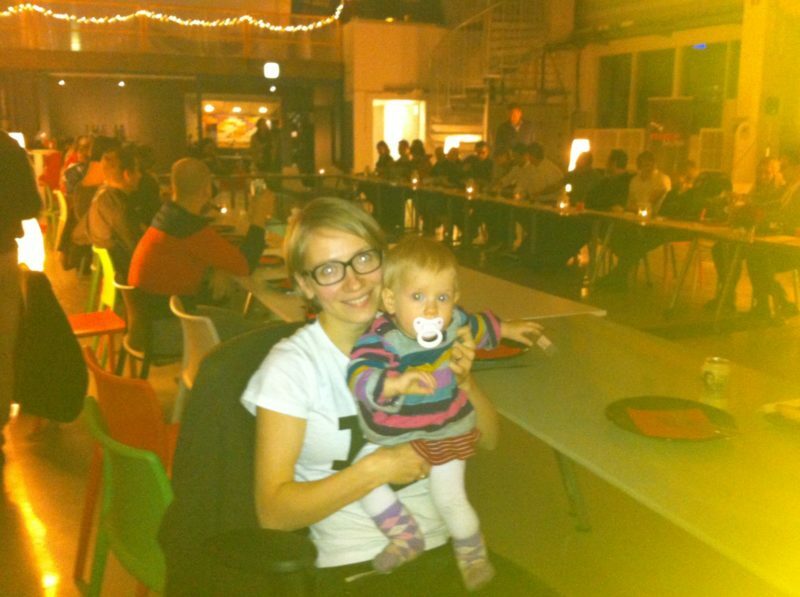 “When we were founding Froont, I had an 8 months old baby, so naturally I took her with me to the Accelerator. Nowhere else have I experienced such family friendliness, such care for a young mom, support from Sauna team (holding her, while I am pitching during the morning drill, waiting while we finish feeding, etc.) 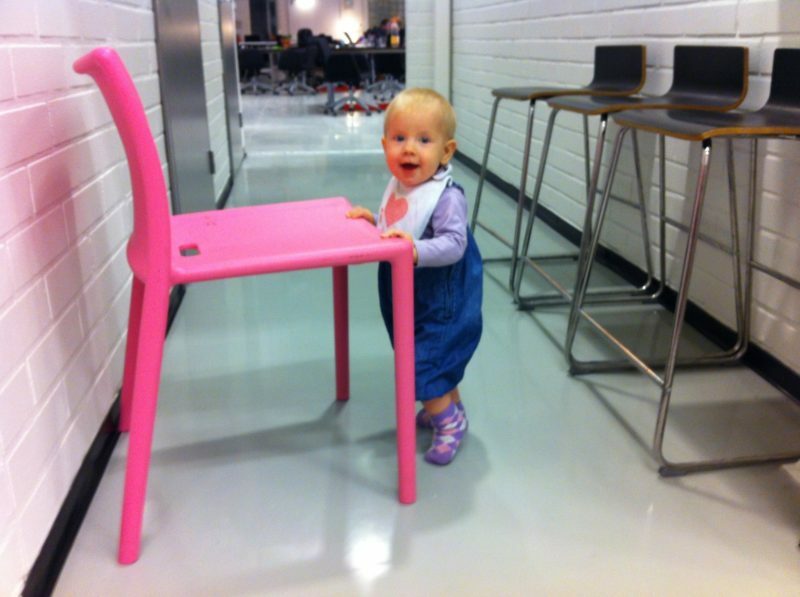 and the investors (so understanding about a baby crawling under the table, while we are discussing business development plans). The Alumni Demo Days at Sauna was definitely a place where one could hear a lot of Latvian – other alumni include, Edurio, Vividly, Finch, Hackmotion and more. Thank you, Startup Sauna for the amazing friendship over the years! You’re always welcome here in Riga – drinks on us! (okay, depends how many, but most of them).